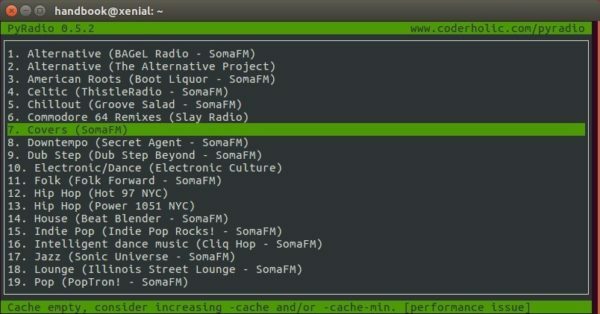 PyRadio is an open-source curses based internet radio player that runs in command console. The software is implemented in Python, and uses mplayer or VLC for media playback. Since snap app contains most required libraries and dependencies, the installation file is kinda large.